Peace and compassion go hand in hand with understanding and nondiscrimination. We choose one thing over another when we discriminate. With the eyes of compassion, we can look at all living reality at once. A compassionate person sees himself or herself in every being. With the ability to view reality from many viewpoints, we can overcome all viewpoints and act compassionately in each situation. I have copied this information from the Dialogue on Race Facebook page so that you can be informed about what is happening here in Cville. Dialogue on Race is Back (bet you knew that already!) Come be part of a community initiative to translate dialogue into action. To learn more about the Dialogue on Race, please visit our website or call us at (434) 970-3023. we will have 2 different days of the week for meetings. YOu can choose either Tuesday or Saturday meeting days. A screening of Walk With Me has been scheduled here in Charlottesville, VA.
7:30 PM on October 24, 2017 at Regal Cinema in Stonefield. 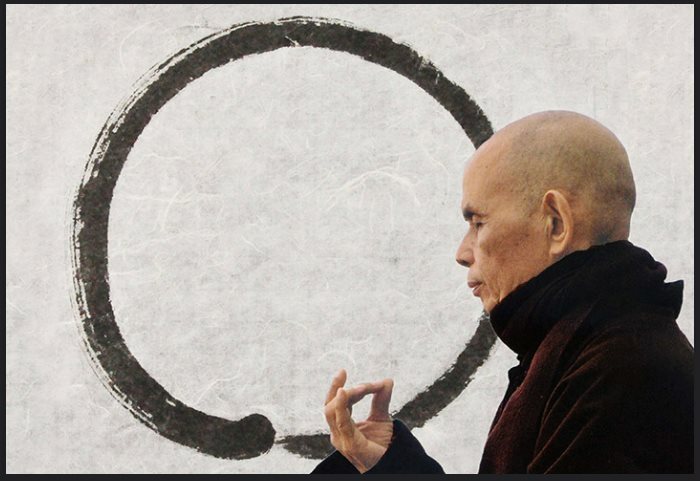 the art of mindfulness with the world-famous teacher Thich Nhat Hanh. with existential questions and the everyday routine of monastic life. Thich Nhat Hanh’s early journals, narrated by Benedict Cumberbatch. When it is raining, we think there is no sunshine. But if we fly high in an airplane and go through the clouds, we rediscover the sunshine again. We see that the sunshine is always there. In a time of anger or despair, our love is also still there. Our capacity to communicate, to forgive, to be compassionate is still there. You have to believe this. We are more than our anger; we are more than our suffering. We must recognize that we do have within us the capacity to love, to understand, to be compassionate. If you know this, then when it rains you won’t be desperate. You know that the rain is there, but the sunshine is still there somewhere. Soon the rain will stop, and the sun will shine again. Have hope. If you can remind yourself that the positive elements are still present within you and the other person, you will know that it is possible to break through, so that the best things in both of you can come up and manifest again. …With all our heart we go for refuge. and the mistakes of our wrong judgements. to pour on the roots of our afflictions. to carry us over the ocean of sorrows. and to study the teachings, authentically transmitted. Diligently, we shall live in mindfulness. and to make strong foundations of understanding and love. and so to be free of the bonds of birth and death. to the kindness of parents, teachers, and friends. With deep faith, we light up the incense of our heart. On the wonderful path of practice. cultivating the fruits of this path. Practicing loving kindness meditation is like digging deep into the ground until we reach the purest water. We look deeply into ourselves until insight arises and our love flows to the surface. Joy and happiness radiate from our eyes and everyone around us benefits from our smile and our presence. If we take good care of ourselves, we help everyone. We stop being a source of suffering in the world, and we become a reservoir of joy and freshness. Here and there are people who know how to take good care of themselves, who live joyfully and happily. They are our strongest support. Whatever they do, they do it for everyone. Loving kindness, compassion, joy, and equanimity are described as unlimited states of mind because they continue to grow and they cannot be measured. The more you practice, the more you see your love growing and growing until there is no limit. The more you practice compassion, the more it grows. The more you cultivate joy the more joy you will feel and be able to share. The more you understand, the more you love: the more you love, the more you understand. They are two sides of one reality. The mind of love and the mind of understanding are the same. We should practice in such a way that every moment is fulfilling. We should feel satisfaction in every breath, in every step, in every action. This is true fulfillment. When you breathe in and out, there is fulfillment. When you take a step, there is fulfillment. When you perform any action, there is the fulfillment that comes from living deeply in the present moment. If you walk with true awareness of every step, without having a goal to get anywhere, happiness will arise naturally. You don’t need to look for happiness. When we’re in touch with the wonders of life, we become aware of the many conditions of happiness that are already there, and naturally, we feel happy. The beauty around us brings us back to the present moment so we can let go of the planning and worries that preoccupy us. When you look at the person you love, if he is absorbed in anxiety, you can help him get out. “Darling, do you see the sun? 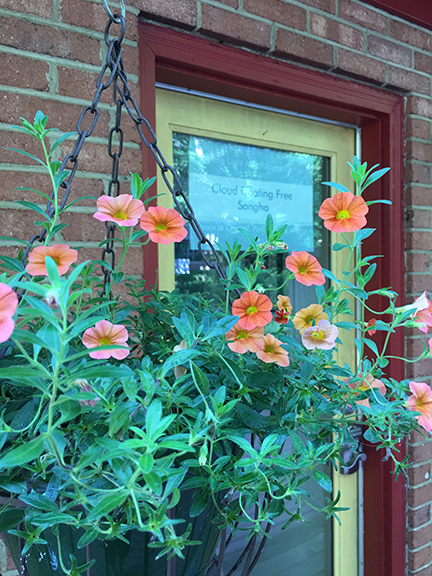 Do you see the signs that spring is coming?” This is mindfulness; we become aware of what is happening now and we are in touch with the conditions of happiness that are there, inside us and all around us. You have two gardens: your own garden and that of your beloved. 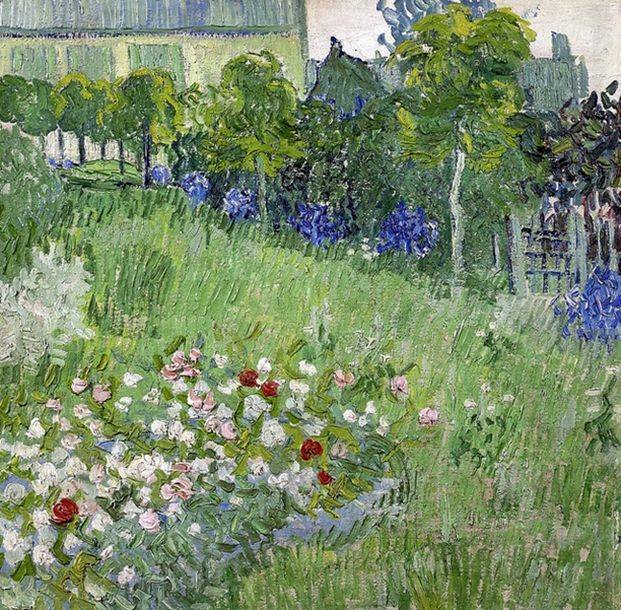 First, you have to take care of your own garden and master the art of gardening. In each one of us, there are flowers and there is also garbage. The garbage is the anger, fear, discrimination, and jealousy within us. If you water the garbage, you will strengthen the negative seeds. If you water the flowers of compassion, understanding, and love, you will strengthen the positive seeds. What you grow is up to you. 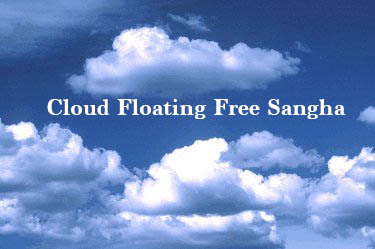 For Locations and Directions Contact Pam at 434-825-0145 or cloudfloatingfree@gmail.com with “SANGHA” in the subject line.